While most high schoolers are worrying about homework, friends, sports and other activities, West Linn High School junior Teagan Sheffield is helping to prevent soil-transmitted diseases from afflicting Ugandan children. 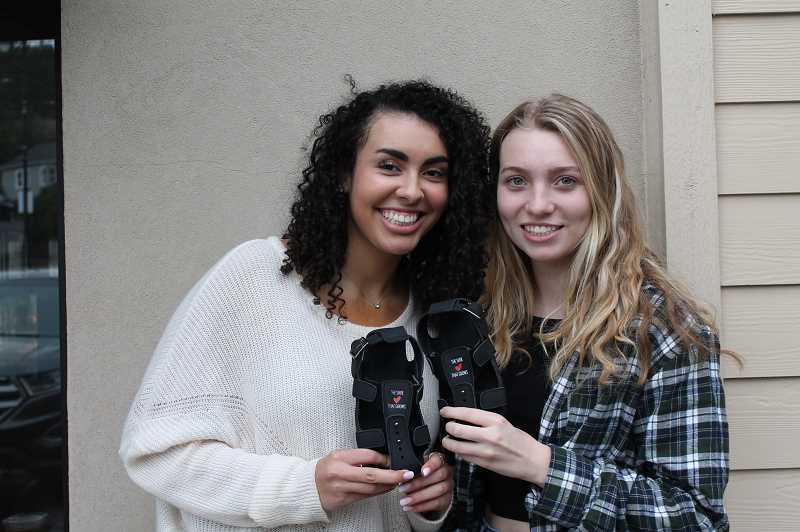 Sheffield juggles the same load as any other teenager, but has also found the time to raise money for A Shoe that Grows ahead of her mission trip to Uganda this summer. A Shoe that Grows is a nonprofit organization that makes shoes that adjust to five different sizes and last for years. "I think every kid deserves to have a pair of shoes," Sheffield said. "It's not only something they can have for one year and then they grow out of it, but a really long time." Sheffield will go to Uganda for a mission trip in July along with her father and best friend and fellow WLHS junior Lauren Jones. They will travel with about 50 other people from across the United States for a mission that will bring medical care and a vacation Bible school to Renjiri, Uganda. "We are shutting down the school while we're there and turning it into a medical facility, where people from Renjiri can come and get medical care because most of them can't afford it," Sheffield said. "While the school is shut down, Lauren and I are doing the vacation Bible school, which is crafts, dancing, singing, learning about God." Getting in touch with A Shoe that Grows was pretty simple, Sheffield said. "My dad talked to the company and they set us up with a GoFundMe page and were really willing and open to help," she said. The shoes cost $15 per pair and Sheffield hopes to raise enough money for 1,000 pairs by the time they leave for the trip. In her three weeks of fundraising, Sheffield has already raised more than $3,000. "A lot of the kids love to play soccer so I think we're also going to raise money to bring soccer balls. But I think it will be way more fun for the kids if they have shoes they can play in," said Sheffield, who also plays soccer. Jones is proud of their work and is excited to see the impact they will have. "We're raising money and we're collecting stuff, to see that impact will impact my life for a long time," Jones said. Sheffield is collecting donations online at fundraise.becauseinternational.org/fundraiser/1836852.